Inscale Low Profile Floor Scales are built in Terre Haute, Indiana. All bases 30”x30” and under, utilize 2” channel understructure, 36”x36” bases utilize 6” channel understructure, and anything else utilizes 7” channel understructure. Bases are quoted with ¼” thick tread plate up to 96” in size, anything over is in 3/8” tread plate. This versatile fully electronic floor scale is for the widest variety of applications. the structural steel design withstands years of heavy industrial use. This is the most popular Inscale product. Capacities range from 1000 lbs to 10,000 lbs. Sizes range from 2ft x 2ft to 10ft x 12ft. Be sure to choose a TI-500 E digital weight indicator as well. 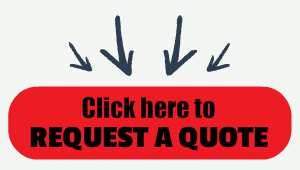 We ship standard scales from stock the next day. Mild Steel. Built in the USA. Custom sizes available for quote. All domestic built scales are built in Terre Haute, Indiana. All bases 30”x30” and under, utilize 2” channel understructure, 36”x36” bases utilize 6” channel understructure, and anything else utilizes 7” channel understructure. Bases are quoted with ¼” thick tread plate up to 96” in size, anything over is in 3/8” tread plate. Smooth plate can be substituted at no additional charge per request. All bases utilize four shear beam load cells up to 84”, bases are six cells above that. Custom sizes available for quote. 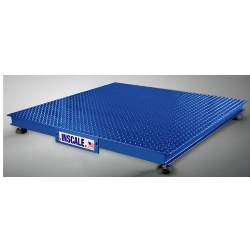 Durable platform design withstands heavy Industrial use. 200% overload capacity, 100% end-load capacity. Sum capacity of load cells is twice scale capacity. Easy to install. Levels with lugs (no shimming). Built in carbon or Stainless Steel. Uses shear beam load cells; NTEP or commercial grade. All understructure bracing is structural steel of channel iron. This floor scale is a premier product of the Indiana Scale Company. It is the result of a combined 50 years’ experience in the manufacture of industrial scales.